Juggling macros, micros, and calories can make it difficult to know what and how much to eat. Make your diet failproof with these 3 simple tips! If you work in the fitness industry, or even just look fit, you've likely had this conversation before. In my office, it happens dozens of time a day. Client: "I really can't seem to lose weight, coach. I mean, I eat perfectly all the time. Just last night I had chicken and broccoli for dinner, but the weight just doesn't come off. What should I do?" Me: "Tell me a bit more about your diet. What did you eat this morning for example?" Client: "Well, today was different. I have this big project I'm working on at the office, and my kid was late for school, plus the wife and I stayed up late last night watching a movie, so I didn't really have time to make breakfast and blah, blah, blah…"
Now, the client didn't really finish his statement with "blah, blah, blah"; that's simply what I start to hear at that point in these conversations, I usually cut them off as politely as possible. They're not taking in enough total calories. Their macronutrients are out of balance. They eat enough total calories but not enough micronutrients. The first miscalculation is a simple lack of total calories, which makes sustaining and building muscle mass completely impossible. Consuming too few calories can also lead to a decrease in metabolism, making fat loss more difficult. Your caloric intake must be high enough to support your basal metabolic rate (BMR), with a slight calorie surplus to support lean muscle gains. If your micronutrients are insufficient, weight loss won't happen either. Even if your macros are on point, your gains will come to a screeching halt if your food is devoid of the essential micronutrients. To help you strike the ideal balance between meeting your caloric intake and macronutrient goals while maximizing micro nutrition, here are a few simple tips to get you back on track! Eating whole foods is the best way to ensure you're covering the majority of your micronutrient issues. Natural, whole foods have sustained life on this planet since the dawn of time. It's a no-brainer that they should make up the bulk of your food intake. It is always best to buy your foods fresh, local, and organic—both to remove any possible degradation in nutrient quality and to preserve flavor. The same goes for your meats. Ask your butcher if he knows any hunters, and always try to buy wild-caught game. With Cordyceps Sinensis! Advanced ATP Energy! Go Now! When deciding how many calories you need per day, a good rule of thumb is to take your total body weight in pounds and tack a zero on to the back of it to determine your basal metabolic rate (BMR), or how many calories your body will burn at rest. For example, I weigh 220 pounds and need approximately 2,200 calories per day just to sustain my mass while at complete rest. If I were sedentary, active, or very active in my daily activities, I would add 600, 800, or 1,000 additional calories respectively. Lastly, I'd add in my exercise. Since I strength train intensely once per day, I'd add another 800 calories to my diet, bringing my daily total to 4,000 calories per day for maintenance. If I wanted to increase my muscle mass, I would add 300-500 calories to gain muscle without spilling over into fat. If I wanted to maintain most of my muscle and drop body fat, I would reduce my calories by 300 to 500. Note: When making calorie adjustments, do so slowly and conservatively. This is especially important when trying to reduce body fat. While there are different schools of thought for hard-training athletes, a general rule is to consume 8 grams of carbohydrates per kilogram of body weight and 2 grams of protein per kilogram of body weight, with fat filling in the rest to meet your caloric targets. Bodyweight: 220 lbs. = 100 kg. This brings me to 3,600 total calories so far, with an allowance of approximately 45 grams of fat (400 calories). That puts me right at 4,000 calories per day. The goal is to have a complete meal plan that you follow each day. Add supplements to fill in any gaps you may be missing, such as additional protein, or a complete multivitamin or mineral formula. With all that worked out, I want you to make sure you still address the vital role of micronutrients. 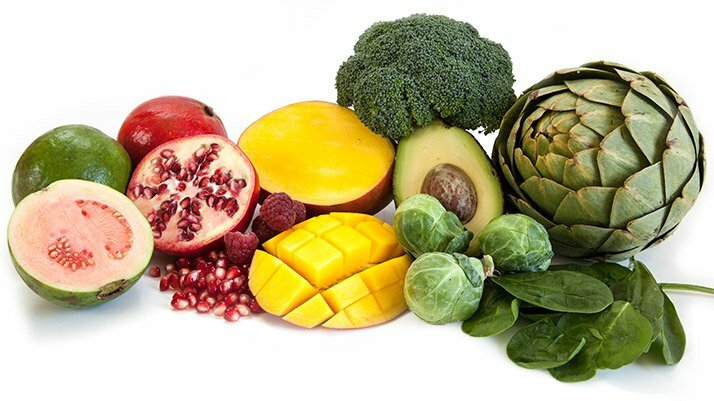 Micronutrients are the catalysts in the production of energy, growth of muscle, and reduction of body fat, as well as most every other biological function. This may seem like a lot, but just remember, if you plan your meals in advance and prepare them before you need them while following the tips outlined above, your ideal body is just around the corner. Bartoszewska, M., Kamboj, M., & Patel, D. R. (2010). Vitamin D, muscle function, and exercise performance. Pediatric Clinics of North America, 57(3), 849-861. 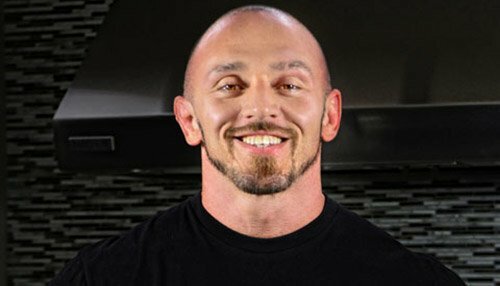 Mike is the creator of the Dolce Diet, and specializes in getting athletes ready for competitive seasons and fighters ready to make weigh-ins.